Progress starts with a vision. That’s why we led the campaign to make Hawaii the first state in the nation with a 100% renewable energy law. We’ve set the bar high because we must. The future is counting on us. 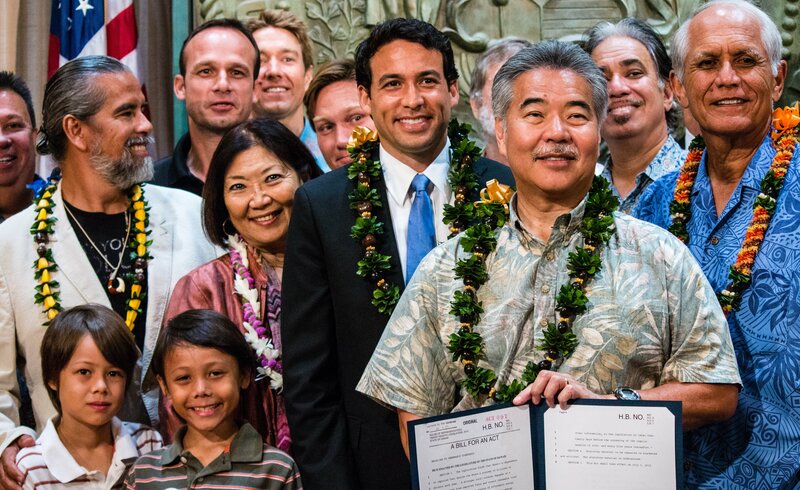 In June 2015, Governor David Ige signed into law the nation's first 100% renewable energy requirement, making Hawaii a global leader in renewable energy policy. 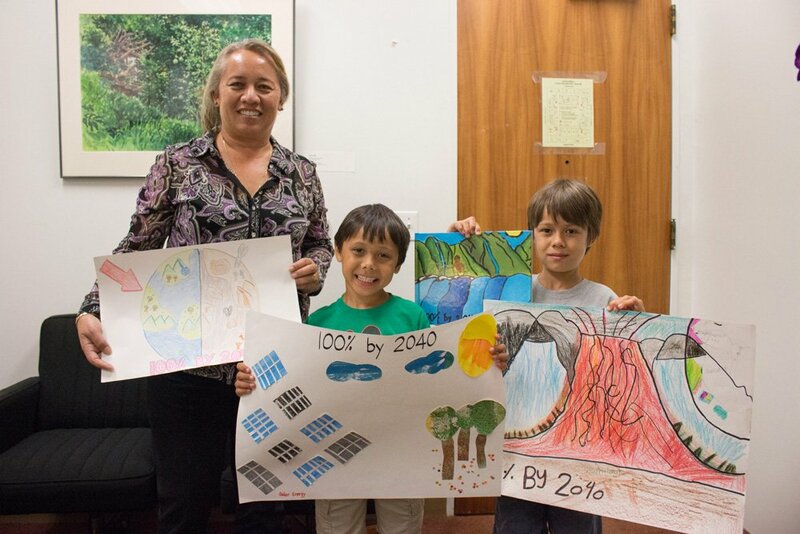 Hawaii’s 100% renewable energy law, which mandates that 100% of the state’s electricity be generated from renewable energy resources no later than 2045, set a new long-term vision for our energy future. Our team of advocates led the charge for change, gathering testimony and delivering drawings and letters to legislators from more than 500 students, teachers, and community members to support the 100% bill. "I envision in 2040 we will have cleaner water that doesn't have pollution so coral and fish can live. We will have less fossil fuels that pollute the air." "Our class supports 100% renewable energy because we have a passion to make sure that our earth gets clean and stays clean." “I envision in 2040 there will be houses with solar panels and electric cars. And there will be batteries that are rechargeable so we don't have to buy batteries that last only a little bit." "I am very concerned and involved with the way we treat our world, because children are the future. If Hawaii were to use different sources of renewable energy, we would never run out." "We support 100% renewable energy because Earth gives us a home and lots of things we need. In the future, if we start riding bikes, we will not have to burn fossil fuels for the gas for our cars." 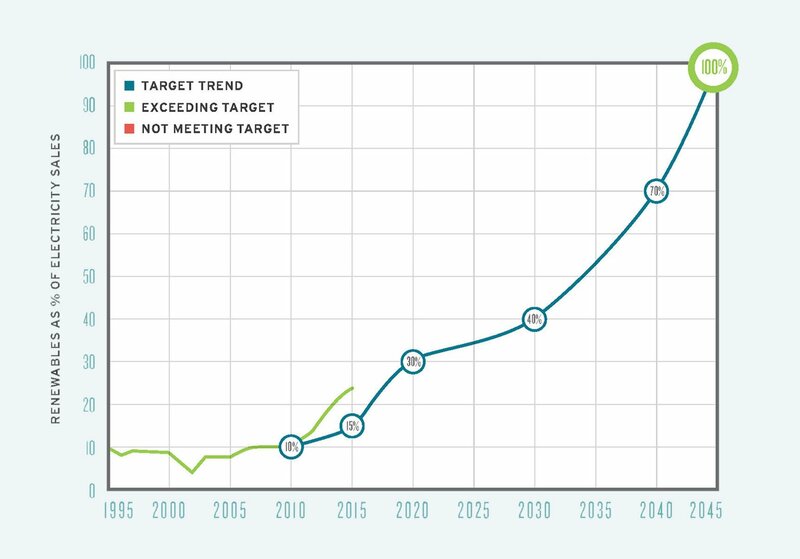 The journey to 100% renewables is already underway, and we’re tracking Hawaii’s progress in Transportation, Efficiency, Renewables, Smart Grid, and Economics with the Energy Report Card. We turned our vision for 100% renewable energy into law, but how we get there is just as important. That’s why we ensure the path to renewables respects the processes, places, and people involved.